761 Silverleaf - "A Sight to Sea"
Trademark Home Design is an architectural design firm with 20 years of experience, specializing in architectural floor plans and design consulting services. Keystone has built a tradition of excellence in custom homebuilding spanning 26 years. Owner Greg Turicchi, along with sons Zach and Jud, take a peerless approach in the design of your home, including management of the construction process, commitment to quality, and superlative customer service. You will find their building legacy represented in the finest Port Aransas communities - Cinnamon Shore, Banyan Beach, Paradise Point, and now Sunflower Beach. 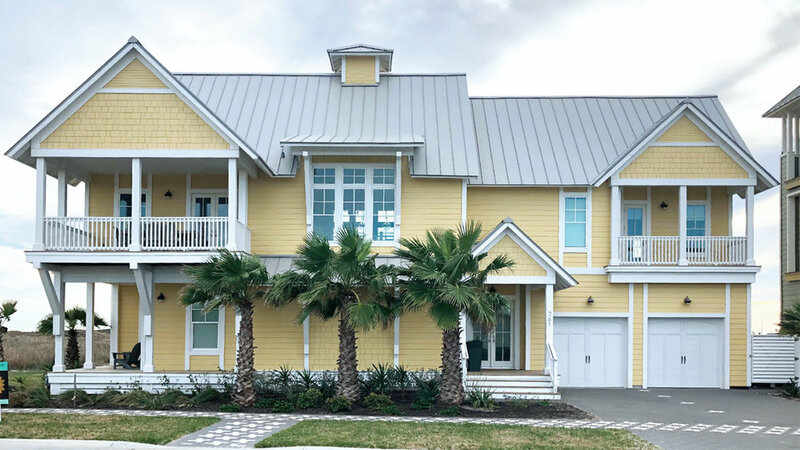 Keystone was honored to be selected to build the 2009 Southern Living Idea House -Tarpon Run - a light, airy, and luxurious retreat on the beautiful Port Aransas beach. 785 Silverleaf - "Even Flow"
716 Sunrise - "Tarpon Terrace"